With 2.2.5 wrapped, we've started to move onto the next full version of Imperial Civil War (and Ascendancy / Fall of the Republic, but their time will come). As we ramp up production, we thought we'd give a brief overview of what the main focuses are in 2.3. As always, if you prefer video versions of news posts, you can see that just below. The information in the written and video versions is the same. While we're happy with the results of 2.2, we know there are a lot of areas we still can and want to significantly improve it, across the board. One of the main things we decided in 2.2's development, however, is that once we had it as a basis, we would need to do a better job prioritizing how and when we would approach each aspect in order to avoid the time it took for the complete overhaul that 2.2 turned out to be. 2.2 took over 4 years, but it also involved a significant reworking of every galactic conquest, a ton of the art, and basically everything else. Rather than tackle everything at once, with 2.3 and subsequent versions, we intend to choose smaller areas to focus on, and for broader projects, to split them up into milestones so we can have slightly smaller but more focused and frequent releasesl. 2.2 also involved a lot of reworking behind the scenes to make certain things a lot easier to work on and more modular, so a good amount of that 2.2 development time should continue to pay off into 2.3, Fall of the Republic and any other future versions or projects. What follows is not an exhaustive list of what's coming, but it should give a decent idea of what you can look forward to in the next version. With 2.3 and subsequent versions, rather than try to do major changes for all factions at once, we've instead chosen to focus on individual factions to receive most of the focus for new or redone units. For most releases, this will mean either a new faction being added and another one receiving most of the new and redone content, or two factions receiving the new/redone content when we're not adding a new playable faction. 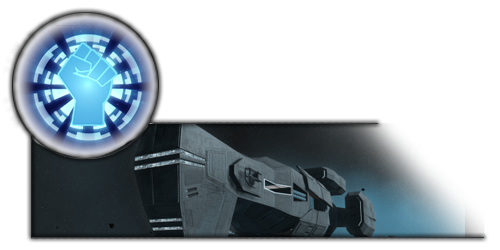 We'll also choose one faction for whom we plan to flesh out a lot more story missions and events for galactic conquest, and one or two galactic conquests where we plan to flesh out all present factions' stories. This isn't to say nobody else will receive anything in these releases, just that we're specifically directing our attention to a more narrow subset. Each section will get its own news post covering exactly what's included in it as we go. A lot of the major AI changes only started coming into the mod towards the end of 2.2's development aside from some tactical changes that Pox and I were working on, but evilbobthebob has brought the galactic AI a long way in terms of focusing its production and aggression. There will continue to be changes to the AI throughout 2.3 as well. A primary focus of this will be continuing to divide ship roles beyond what exists already so we can get the AI to more effectively build diverse fleets- not all frigates are meant to do the same thing, nor are all capital ships, so the more we can make distinctions between them and more effectively control AI fleet compositions. With 2.2, we also tried to make the AI play for the most part within the same rules as the player, depending on difficulty. With 2.3, for those who want a much more challenging experience, we want to introduce some extra optional levers to make games more challenging throughout, and maintain some resistance for longer. This will, again, be completely optional, so those who prefer to fight on a more level playing field will be able to continue on with the more fair pre-existing difficulty levels. With 2.3 we plan to begin some of our ground overhaul changes. In future versions we have a number of basic mechanical changes that, if they work out, would significantly change how ground combat works in EaW, but that's a bit more long term. We're going to be starting off by working on fleshing out the pacing, unit roles, damage modifiers, balance and all of those factors within the existing mechanics of ICW ground combat. Alongside this will be some art reworks to props, map textures and existing ground vehicles to improve the aesthetics of ground combat, but this generally means that, except for what gets added to new factions, we generally will not be adding new vehicles in the next version or two. We'd rather focus our resources on getting what's there right and expanding from that than continue to add things in which make it more complicated to make the more basic changes. Once we have everything set up, it'll be easier to add new units within that. So that about covers it for the overview- again, that's not an exhaustive list of what we're working on, but it does cover most of the main focuses. We'll have more specific updates covering the specific sections as we go, and as with 2.2, I'll be running preview playthroughs throughout development on my Youtube channel, Corey Loses (https://www.youtube.com/coreyloses), starting with an Eriadu Authority playthrough in Art of War next week. This is some great foresight you guys have.